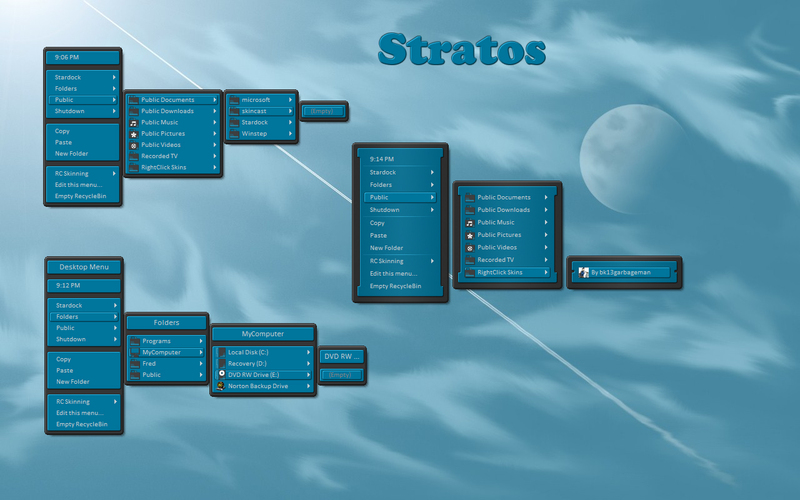 Two were inspired by Snowman and modeled after the jump list, and the other is made to resemble the start menu. This has been asked before but I'll ask again, do you know of a way to get RighClick to work on Win 7 64 bit? Link ......check out reply #10 from Lantec, I tried it, but it only worked until I rebooted, maybe You might have better luck with it. Thanks Tim, no prob, I couldn't have done it without You!